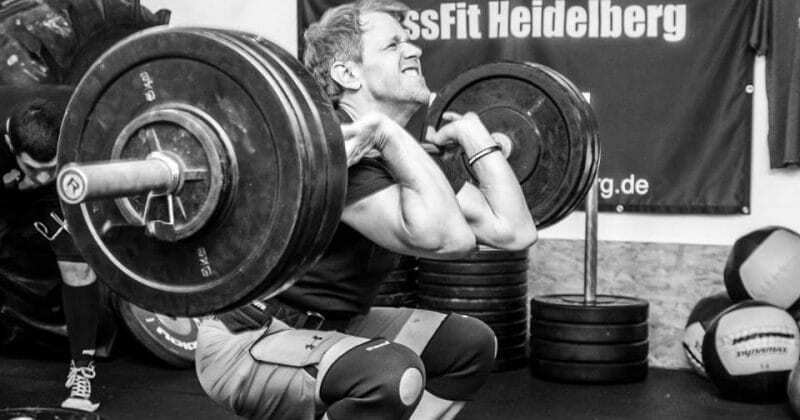 Johann Ziegler, the box-owner of CrossFit Heidelberg, is giving us a little insight into what happens at his BOX! Enjoy another episode of our Europewide BOX interviews. I studied Sport Science and Sports Education at the University of Heidelberg. During one Seminar about Barbell training we saw a video about the over head squat and it was a CrossFit video. I googled CrossFit and immediately fell in love with that training methodology. I felt the urgent wish to show this beautiful sport to other people. CrossFit is really the one answer to all training questions. So I felt obliged to give all those benefits I had ever since I started training CrossFit to others as well. We offer an outstanding level of expertise in technical coaching. For example, I was an Olympic lifting coach already long before I got to know CrossFit. One of my major subjects during my studies was gymnastics. I demand a high level of expertise from my coaches as well. They all are specialized not only in numerous CrossFit certificates, they hold Olympic lifting and gymnastic certificates as well. Also we have a strong and close community. People find friends, partners here at the box, they meet outside the box in their private life as well. And that is most probably the most beautiful part about our community. We certainly don’t have the most beautiful box, but the community makes it beautiful. We have around 70 members from almost every age. We have teenagers, students and parents in their 50s. We have a lot of competitive athletes as well. No. CrossFit is all the human body needs. It looks like this: you go to the box, and then you train. It is as simple as that. We do not restrict somebody or reduce somebody to anything. The needs of a grandma and a high level athlete differ by degree only and not by kind. So we strictly hold it at the box. Everybody trains in the same class, does the same movements, but not with the same weights. Yes. We have little competitions with our partnering boxes. Fitness really has become a sport for me. It is not only staying healthy for life. Competition makes me and others go on and on. If you stop improving yourself at sports, you stop improving your health. Simply put. So I want to become as fit as possible in CrossFit because CrossFit really includes everything that makes the human body healthy.